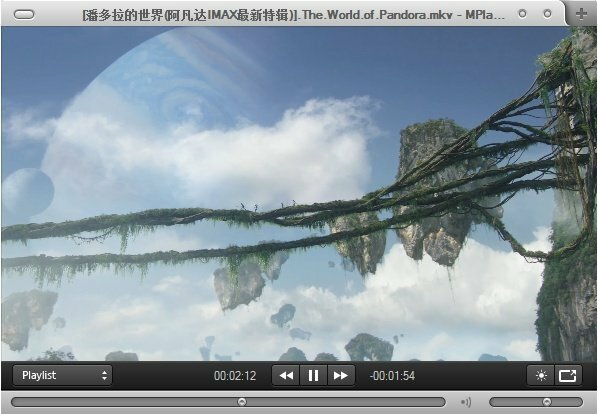 MPlayer WW is a feature-rich media player that plays hundreds of different video and audio formats, including DVD and DivX without additional codecs. Includes a native UI, options dialog (MEditor, MEditor2) and skin support. Even more codecs and tools are available in the MPlayer Extra Package. MPlayer WW is a code fork of mplayer. Dependencies: DirectX is required if running in Direct3D mode on Vista+. Stealth: ? No. DVDs cause %APPDATA%\dvdcss. Anyone know how to install the "Mplayer extra package" listed above? If you follow the 'Download' link provided here and scroll down that page to 'OldVersions' and on that page scroll down to the bottom, you'll find the mplayer_full/mplayer_lite links. freakazoid-download link works and have seen this on other sites,same version says lite-asking the author is hard on sourceforge. @rodger123 - You'll have to ask the dev of the app about the filename! But the download link should still work. Why does the download say mplayer_lite? That is the only version I see? When playing an MP3, this player displays the filename in a nice, big on-screen font. I love that, since none of my files contain IDE3 tags and I prefer filenames, anyway. However, quite a few of my filenames contain French or German characters, which only show up as squares -- obviously a character set problem. I have Windows 7 set up in U.S. English, and the foreign characters are displayed correctly in Windows Explorer and any other file manager (I think ANSI is the system default). They show up on the player's titlebar, too. Does anyone know how to fix the on-screen display? I've looked through all the settings, including the .INI files and the fonts subfolder with its readme file, but I can't figure it out. The manual is no help, either. There seems to be a lot of apps on here that use MPlayer as a backend. This one has it's native GUI. I wish there was a way to get this thing to stop resizing on playback. And get it to stop after playback, or repeat current video? When I just hit "Play" with a DVD, I get to hear any language but not the one I chose in the DVD menus. After an episode of a series has finished, the DVD menus can't be used any more and I have to exit and restart MPlayer WW in order to watch the next episode. If I just try to open the DVD again after the DVD menus have become unusable, the programme simply exits i.e. crashes. Otherwise: beautiful interface, but it is sometimes a little difficult to navigate through playback and software options. This is a great GUI for MPlayer! Rather much like MPC but with more options, admittedly not all options worked for me, and finding help was a little hard. But all the useful stuff is there! Attempting to change the options (via meditor2.exe or thru the program) immediately causes all apps to close and the computer to shut down. I'd call that a MAJOR bug, which appears to be present since svn31834. I don't know why I'd use this instead of SMPlayer. Can't add URLs. Anyone know how to? Don't know whether Meditor.exe is malware or not (Avast found nothing), but it seems to forcibly close all running programs on my PC every time I try to apply the changes in the options dialog. Tested it several times and it happens every single time. Unfortunately, that makes this program unusable for me. A shame, really, as it seems pretty nice. @Saul - You are blaming this software for your own stupid AV software. You should report your problem to your AV software so they can fix it. But there seems to be an issue with the Meditor.exe that comes with it. Some AV software detect this as a Trojan (something Trojan Downloader) and quickly delete it out. Otherwise, it stll performs without it and is quite better than KMPlayer. For full HD videos it is better than VLC and KMplayer (they played the same video jerky!). My test was with a h264 video file. I'm quite happy with it. I enabled the default window border so it blends better into the OS, unlike most skinned apps. Runs very smoothly as well. Haven't tried it out yet but I've just installed it on my flash drive. Has great skins too (Quicktime X for Directshow...). Adds some new look to the drab MPlayer default skin. This is best over VLC?